Nintendo has long carried a reputation for being “the platform for kids,” cemented over the years by a lack of M-rated games and the censoring of violent content (remember Mortal Kombat on the Super Nintendo?). However, the Switch seems set to change that image. Bethesda just announced that it is bringing Doom 2016 and Wolfenstein II: The New Colossus to the Nintendo Switch. Both are very mature titles featuring heavy violence and gore as well as adult language. This is not the light and whimsical fare for which the game maker is typically known. These aren't the only mature titles destined for the portable console. Bethesda is also releasing The Elder Scrolls V: Skyrim. Rockstar is launching L.A. Noire. Capcom’s Resident Evil Revelations 1 and 2 are on the way. Overkill Software said it is porting Payday 2 to the Switch. 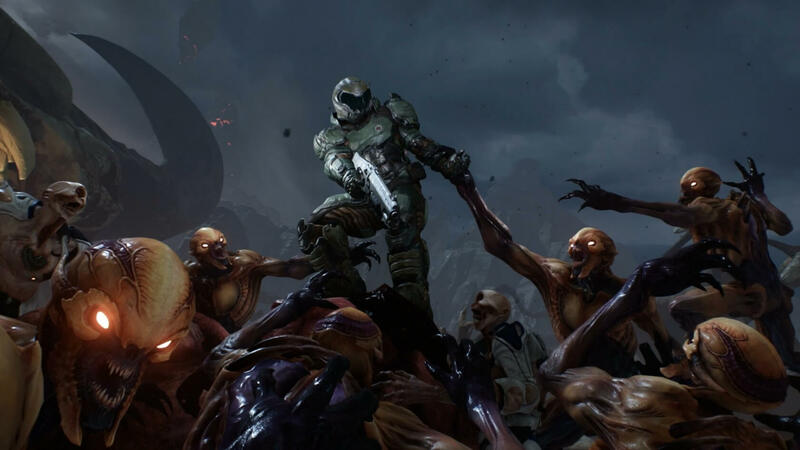 These games (including Doom) are arriving this holiday season (The New Colossus won't make it to the Switch until sometime in 2018). All the Switch needs now is a high-quality mature exclusive to solidify that Nintendo is really starting to cater to all tastes. Unless these games are stripped-down, censored versions of the originals (which I can’t see producers going for), Nintendo seems to be trying to shake its tame reputation. With an already solid library of games for all ages, the addition of more adult-oriented content seems like a good move. Being known as a “kiddy console” significantly limited its audience. I, for one, have avoided Nintendo consoles, including the Switch, for precisely that reason. Not being able to play some of my favorite franchises is a big turnoff. Seeing Nintendo open the handheld console to more mature games has me seriously considering picking one up for Christmas... you know, "for the kids."